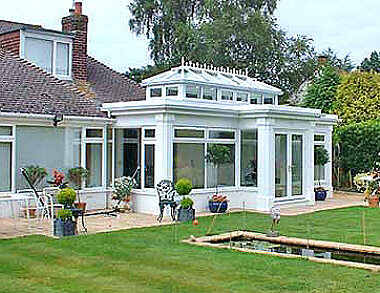 As one of the ways to extend a property and add more living room, Conservatories are a well established, convenient and quite cost effective solution as they offer an extensive range of sizes, shapes and, in many instances for smaller constructions, don't currently require planning permission to build one in the UK (more on that below). 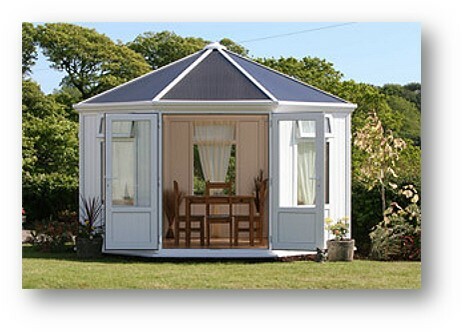 Your new room does not have to be all glass as you can vary the design to suit your tastes by including solid infill panels, French doors, Bi-fold doors, Dwarf walls in brick, stone, block-work or render. Opening side windows & roofing vents can help with ventilation and to make the room more ‘live-able’ central heating, underfloor heating or air conditioning can be built-in (best done during construction but can be added afterward). 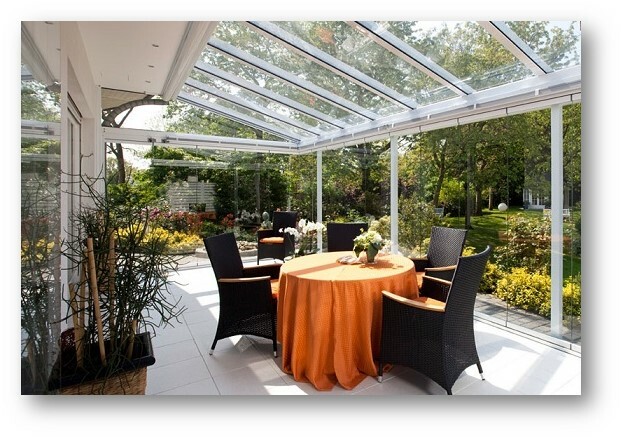 Even the style of roof can be glass panels or solid – in the case of Orangeries, they regularly feature a flat roof with glass lantern configuration which makes the interior feel like an atrium. 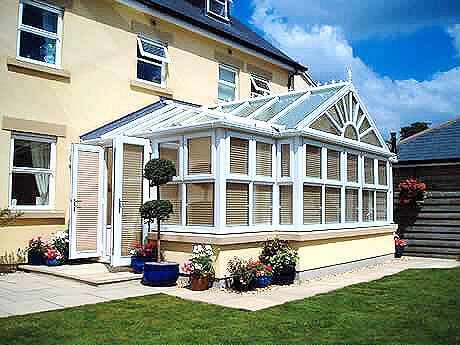 Deciding on the use of the conservatory before rushing into constructing one is important, for example a smaller Victorian style (generally rounded in appearance) could give you a few headaches when it comes to placing furniture – bear in mind that if your doors open inward that will also impact on the internal space. So take some time to review the choices available beforehand. 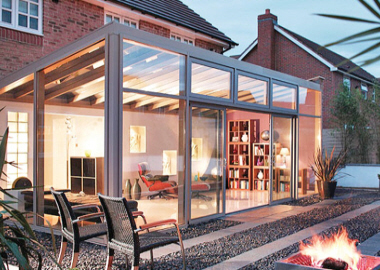 There are very many companies in the UK who design, supply & install this type of construction and given that you are likely to be investing a few thousand pounds on buying your new extension it makes sense to choose as wisely as possible. You should always deal with an approved contractor, in the first instance this would mean looking for a recognised accreditation for competence in the work that needs to be done - especially if electrical & plumbing works are being carried out. 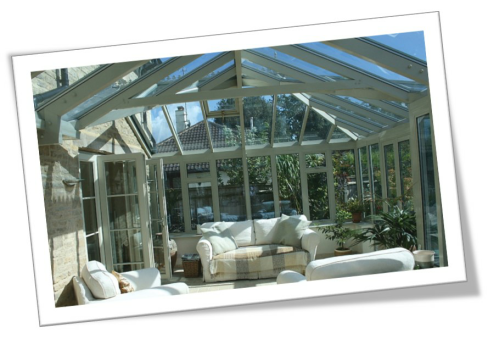 If you want to know more about the cost of a conservatory, visit this page about conservatory prices. 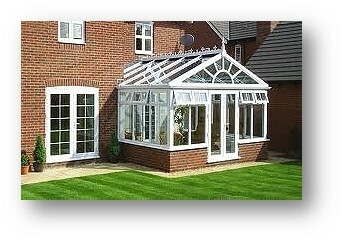 Can I change the roof on my existing Conservatory? 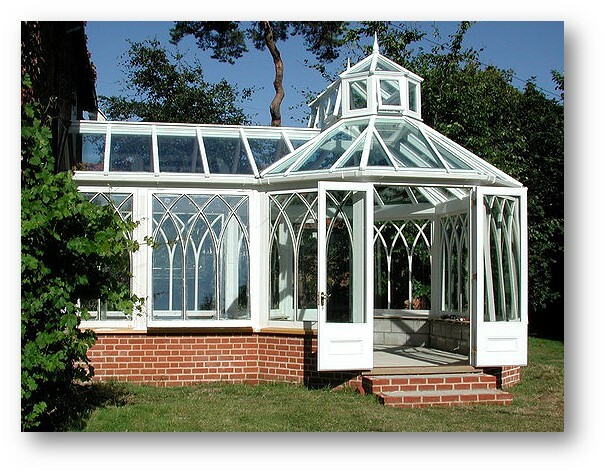 In most cases in the UK Conservatories come under the 'permitted development' category, which means that provided the design is within certain limits prior planning permission should not be required. However, planning regulations in your area may have some differences and therefore it is always advised to check before proceeding with any type of construction. 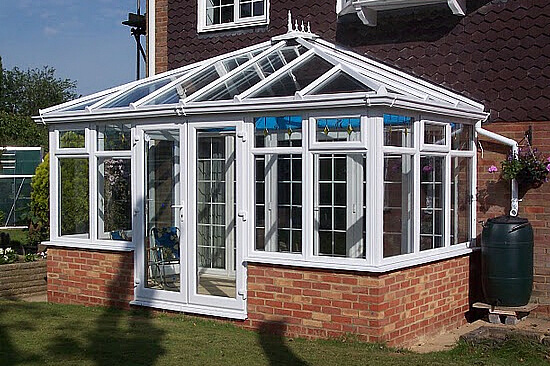 Again, in most instances Conservatories will be exempt from Building Regulations, but with some exceptions, For example if you are creating a new door or opening between the house & the extension, or if electrics / plumbing work is being done. However, do not rely on what is written here, please check with your local planning authority or contractor first. 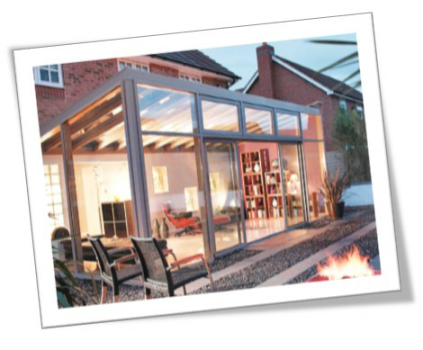 The cost of installing a new home extension will primarily depend upon the size & style of the design chosen, but can also be influenced by other factors such as your location, the quality of the materials & workmanship, warranties or even the time of year when you are looking to install it (prices may be lower in "low season"). 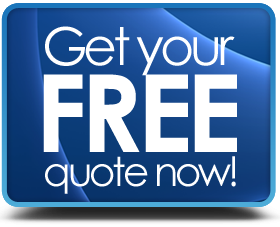 You can get a general idea of costings for a particular style & size by searching online but bear in mind that the final installation cost could vary significantly dependent on your circumstances. If you are happy with the overall room but feel that it needs upgrading, there is no need to replace the whole construction as nowadays there are many contractors offering replacement roofing. Designs that can be quite simply manufactured or built on site can be fitted in a matter of days and can completely transform the look.